SIBU: Dato Andrew Wong Kee Yew, the former deputy chairman of Sibu Municipal Council passed away last night. Sibu police chief ACP Stanley Jonathan Ringgit confirmed his death, saying it occurred yesterday, when Andrew was found lying on the floor of the dressing room at around 9pm. 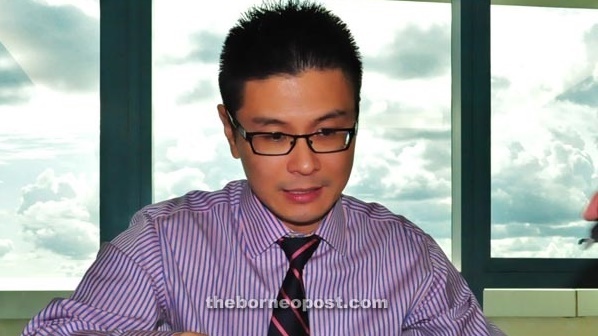 According to Second Finance Minister Dato Sri Wong Soon Koh, a doctor was called in to resuscitate Andrew and he was sent to Rejang Medical Centre but was pronounced dead at around 11pm. Stanley said they would now wait for the post-mortem to confirm the cause of Andrew’s death. Andrew was the only son of Soon Koh. Soon Koh, who was in Kuching, rushed back to Sibu early this morning upon learning about his son’s demise. Andrew was appointed deputy chairman of Sibu Municipal Council in 2014, replacing Daniel Ngieng who was the deputy chairman for a decade. In his term of office in the town council, he initiated a development plan for Sibu called Rancangan Sibu 1. Before that, he had been actively involved in the education development of Sibu. He also played a key role in transforming Institute Executive Kuching to become Executive College Kuching. He had for 15 years devoted himself to education service since his return from Australia in 1998, at the age 21. He started working with United College Sarawak in 1999 and helped to transform the college into what it is today. The college, renamed Laila Taib College in 2010, housed in a new campus, offering Diploma programmes recognised not only by the Education Ministry, but also by the respective professional bodies, and other courses. Andrew had almost single-handedly been responsible for setting up Sarawak Maritime College with financial assistance from the state government and a private company. He also played a key role in setting up University College of Technology Sarawak. With his appointment as the deputy chairman of the council in 2014, Andrew resigned his chief executive officer post in Laila Taib College. Andrew was conferred the Datukship in the 92nd birthday of the Head of State Tun Muhammad Salahuddin in 2013. He also earned himself the Junior Chamber International (JCI) Ten Outstanding Young Malaysians 2016 (Academic Leadership and Accomplishment) award. He contested in the last parliamentary election in Sibu Parliamentary Seat, but lost. The incumbent candidate Oscar Ling won with a majority of 11,422 votes. Ling garnered 33,811 votes while Andrew, the Barisan Nasional candidate, polled 22,389 votes, Sarawak Peace Party’s Jamie Tiew Yen Huong polled 377 votes and State Reform Party’s Simon Tiong polled 176 votes. 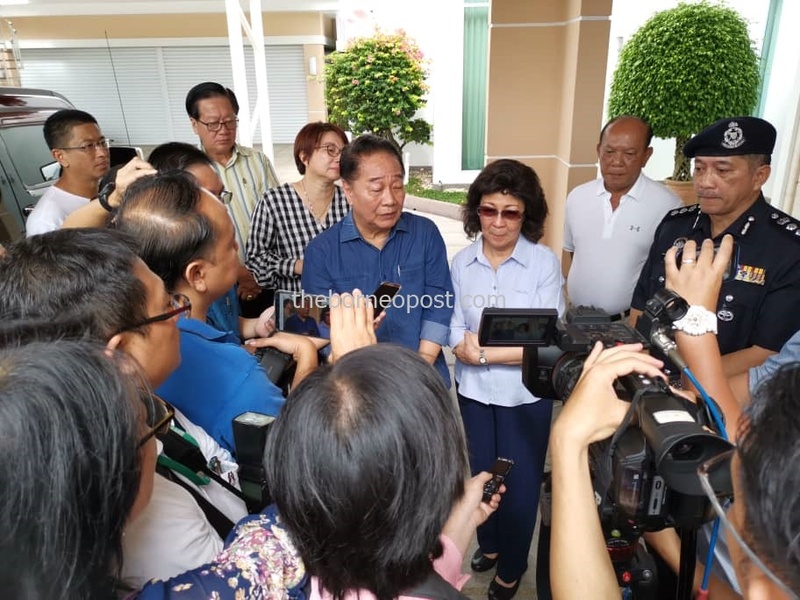 Second Finance Minister Dato Sri Wong Soon Koh and his wife Datin Sri Pauline Leong speaking to reporters at their house today. Sibu police chief ACP Stanley Jonathan Ringgit arrives at Soon Koh’s house at Ipoh Road.